ROMWE Mother's Day Special Sale! Mother’s Day is coming! What will you prepare for your mom? Let ROMWE help you! 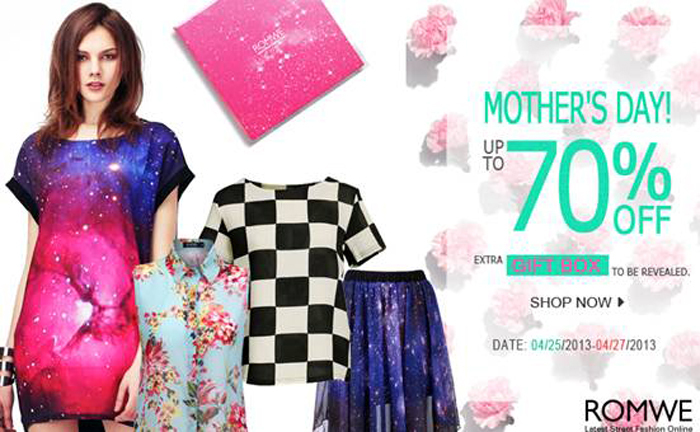 Romwe will have a big sale promotion on Mother’s day with great discount up to 70%!! !